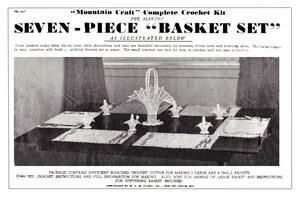 Mountain Craft Complete Crochet Kit No. 607. 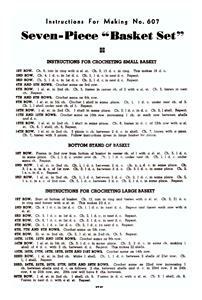 Complete crochet instructions and full information for making six small and one large basket. 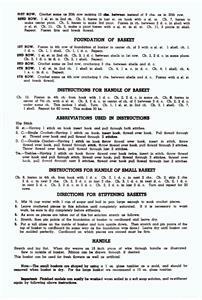 Instructions for stiffening basket included.